Jimmy Deenihan, T.D., Minister for Arts, Heritage and the Gaeltacht announced today (Monday, 22 October 2012) that the Kerry female red deer has been removed from the open season for hunting. The removal of the Kerry female deer from the Open Seasons Order means that the hunting of both the male and female Kerry red deer species are now prohibited. The Minister also said he believed that hunters would support this measure and he was aware that some hunting organisations had urged his Department to take action to address the poor status of the Kerry red deer. The National Parks and Wildlife Service of the Minister’s Department will be closely monitoring compliance of the initiative. This entry was posted in Uncategorized on October 22, 2012 by Liam Nolan. This entry was posted in Uncategorized on October 15, 2012 by Liam Nolan. As noted on an earlier posting on this blog, the closing date for submissions in relation to the Second Draft Discussion Document on the Deer Management Policy Vision published in September by the Inter Agency Deer Policy Group was 12 October 2012. On the suggestion of the Wild Deer Association of Ireland, it was decided that a Joint Submission would be made incorporating the key concerns of the different deer organisations, together with Countryside Alliance Ireland. The Joint Submission, compiled by Liam Nolan, was delivered on 12 October 2012 and is set out as a separate posting on this blog, for the information of all interested parties. This entry was posted in Uncategorized on October 13, 2012 by Liam Nolan. 1.1: This response to the Draft Discussion Document (Second Draft) issued by the Inter-Agency Deer Policy Group in September 2012 is compiled on behalf of those organisations listed on the title page and seeks to incorporate all those common concerns shared by the different organisations representing the views of licensed deer hunters in Ireland. 1.2: There are numerous points of concern, including a view that the Second Draft appears to incorporate a great many specific proposals which were not mentioned, even obliquely, in the Inter-Agency Deer Policy Group’s First Draft (2011) and which did not feature to any identifiable extent in the submissions received from stakeholders in November 2011, as published on the website of the Department of Agriculture, Food and the Marine. Arising from this analysis, stakeholders are concerned that they are being presented with a fait accompli which renders null and void any purported consultation process. In particular, licensed deer hunters (so-called “recreational” hunters) are concerned that they are being side-lined and relegated to a subservient position in the deer management chain, whereas in reality they are the front-line soldiers in the matter of practical management and culling of wild deer. 1.3: That said, all stakeholders welcome, and will support, the underlying principle which unites all stakeholders, viz. that wild deer in Ireland are deserving of a national management policy which draws on all available human resources and which protects the long-term interests of wild deer while balancing human economic needs, including the particular economic needs of the farming and forestry communities. 2.1: As a general observation on the Document, the Wild Deer Association of Ireland (WDAI)point out that the document references “basic data on deer density levels across a range of different habitats” is being required to develop a sustainable deer management policy. However such comments as “growing problem of increasing deer populations in Ireland”, where evidence of deer populations actually shows widely divergent levels are of great concern and unhelpful, and contrary to the overwhelming view of WDAI members in all regions, and to NPWS staff and respected academics regarding current deer numbers. WDAI note that the document makes little if no reference to the Wildlife Acts under which deer are a protected species. Elements of the document are considered to be very ambitious, even aspirational and likely to prove exhaustive of resources, whereas a more simplistic approach might prove more productive. 2.2: Countryside Alliance Ireland (CAI) has further concerns, recommendations and comments and hold the view that one overriding factor which must be given priority consideration throughout, is the impact the Draft Policy will have on the recreational deer hunter. It will not be acceptable for recreational deer hunters to be unduly penalised through increased costs; whether from licensing fees or the costs associated with accredited training schemes/certification as this would severely prohibit this activity for many. The policy while meeting the needs of the framework ‘for sustainable wild deer management in Ireland’, needs to be balanced and mindful in this regard. 1.6 Accurate, quantitative data regarding deer population densities and spatial distribution within and between land catchments is a critical component of any successful deer management programme. An assessment of deer population distribution and densities must be carried out as an essential prerequisite to any deer management strategy in the field. It will provide an indication of the required scale, extent and likely costs of such measures. A national deer population assessment programme will provide the baseline against which the dynamics of current populations can be observed, and by which policy performance can be evaluated over time. · WDG, together with all other deer organisations, has consistently and repeatedly called for a national deer census as a first step, and the cornerstone of a national deer policy. This call has been put out to the relevant authorities on countless occasions over the last thirty years. The identification now of a national census as a crucial factor in policy-making and implementation by the Review Group is therefore to be welcomed. However the question must be asked – by whom is a census to be conducted? And if not reliant on the corps of 4000-plus licensed “recreational” deer hunters, then how is to be achieved? 1.7 Typically, deer population assessment should be carried out over a 3-5 year timeframe. There is an initial need to identify broad habitat categories in areas of interest. An initial sampling exercise will produce basic data on deer density levels across a range of different habitats. It will be enhanced by more intensive sampling in high density areas, or in areas where conflict with land management interests may exist. Population density survey data would be further refined by correlating detailed biometric data from culled animals against density estimates. · To develop a sustainable deer management policy, an accurate account of the deer population must be swiftly evaluated. Using valuable voluntary/professional time and department funds, these resources must be used efficiently to assess deer population in a timeframe period of 3-5 years. Small sample exercises will provide no accurate information that will help in a long term deer management setup. 2.7 Deer management policy must strongly recognise the risk posed to native Irish red deer through hybridisation with Sika Deer and miscegenation with imported European red deer. A National survey in relation to hybridisation with emphasis on red deer in Co. Kerry is currently being prepared for NPWS and may guide future policy development in this area. 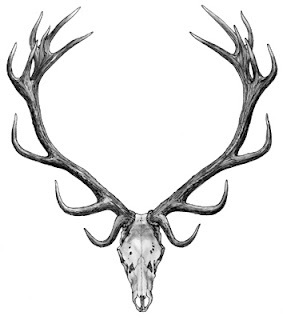 · The Review Group should be aware that recent research has shown that the existence of a native species of Red deer may be a myth, not meriting an untoward discrimination against other species, including Fallow and Sika. 3.3 Deer management policy measures shall aim to maximise the financial contribution of deer related products and services to both rural and national economies. The deer stalking and hunting sector already makes a significant contribution to the rural economy through the sale of hunting concessions, the sale of clothing, equipment, firearms, vehicles, food, drink, training courses and accommodation etc. The non-shooting recreational sector (photography, eco-tourism) also has potential for development. · CAI is pleased that the deer policy group has recognised the financial benefit that deer stalking and the hunting sector has to the rural economy. 3.5 Policy must also recognise that current strong market values for venison have led to an upsurge in both illegal deer hunting and illegal trade in venison. Strong measures are required at all levels to prevent the introduction of illegally sourced venison to markets. · We support this reference along with increased measures by the DAFF & DAHG staff in addressing this illegal activity, inspection measures would also be required for those granted a commercial licence. The absence of game handling establishments in the submission process to date is noted. · CAI is delighted that the policy has recognised that illegal trade is taking place due to a strong market value of venison and the (current) minor penalties applied to poaching. By increasing the penalties of poaching and traceability between the hunter and game dealer per each purchased game, this will help lower illegal trade and also poaching for personal consumption. 4.2 In developing and implementing deer management measures, the welfare and humane treatment of deer populations shall be paramount. Policy should support training and education measures necessary to ensure that management measures and their implementation conform to international best practice and standards, and comply with existing national and EU legislation regarding animal welfare, food standards and human safety. · The word “training” appears on several occasions in the Document, notably at paragraphs 3.6, 4.2 (above) 5.3, 5.4, 6.7, 6.10, 6.11 and 7.3.18. Deer Alliance HCAP considers it unfortunate that no recognition whatsoever is given to the fact that fully a quarter of all licensed deer hunters in Ireland have completed the Hunter Competence Assessment Programme since its inception in 2005, following four years of cooperative development. · This is particularly concerning in circumstances where three out of four State entities comprising the Inter Agency Deer Policy Group were not merely represented in the development of HCAP, but have actively participated in the implementation of the programme from 2001 to date, and play a full role in the management of the programme. · As a matter of policy, Deer Alliance HCAP have consistently called for mandatory certification (HCAP or equivalent) as a prerequisite to the granting of a licence to hunt wild deer. Deer Alliance HCAP submits, as it did in the first stage of public consultation, that the adoption of mandatory assessment and certification has profound implications for practical management of wild deer. It is the licensed deer hunter who will in the final analysis be responsible for practical implementation of policy, which to be successful in terms of implementation must include the humane and efficient culling of deer in order to achieve policy objectives as identified in the Draft Deer Management Policy Vision document. · Deer Alliance HCAP therefore formally proposes that mandatory assessment and certification based on the HCAP model be included as an essential part of any final policy for the management of wild deer. · Deer Alliance HCAP confirms its wish and intention to remain fully involved in and committed to the development of a national policy on the management of wild deer, including but not limited to the adoption and inclusion of mandatory assessment and certification as an essential element in wild deer management. 4.4.1 There is a requirement for greatly improved education and awareness concerning deer management among land use professionals, and among the general public, which will in turn enable the implementation of deer management measures in the field. Long term development of deer management capacity in Ireland will require an appropriate accredited educational framework. This can be integrated with existing 3rd level and Continuous Professional Development programmes. · CAI agrees with the policy that an appropriate educational framework for all DHL holders must be undertaken for long term deer management, however, CAI would like more clarification in what this would involve and how this would be tasked. · It is also important to note that many deer hunters have years of practical experience although may not have accredited qualifications such as HCAP and this experience must be taken into account. 4.4.3 Landowners/Shooting rights – A number of instances have been identified where land management interests experiencing issues with deer populations have been unable to implement suitable controls due to land title issues involving sporting rights. Policy should support measures aimed at exploring this issue in greater detail from a legal standpoint, towards devising an equitable solution to the issue between landowners and the holders of sporting rights in areas where deer pose a threat to land management objective. · Any analysis of this statement must lead to a critical assessment of the role of the farming community in effective deer management. Ultimately it is the landowner who controls or at least heavily influences, deer control. There are very few instances where ownership of sporting rights (a defined property) has seriously interfered with best-practice farming. Conversely, by not exercising discretion in who shoots what on his land, the farmer contributes to mismanagement of deer, and often to an escalation of problems. · The most immediate contribution that the farming community can make to effective deer management and to implementation of a national policy on deer is to encourage cooperation between adjoining landowners, and the formation of suitably qualified hunters acting as a coordinated group for deer management i.e. local Deer Management Groups. · What are euphemistically called “land title issues” in paragraph 4.4.3 are in fact important property rights, and to allow the farming community to over-ride such rights in pursuit of short-term individual economic gain is likely to generate considerable dissension. The logical progression of the proposal implicit in paragraph 4.4.4 would be the adoption of the American Model, whereby all land is open for hunting except where expressly reserved (“posted”) and the landowner has limited control over access to his land. · CAI would like to be given examples where issues have been identified and what policy support measures are envisaged to reconcile possible conflict areas. 4.4.4 Forestry Issues – Forest practice and design has a major influence on deer population dynamics and behaviour. As such, the forestry sector has a critical role to play in the implementation of deer management through habitat manipulation. There is a requirement for greatly improved education and awareness regarding forest management issues where deer populations exist. Pre-planting design is a critical issue, and appropriately designed forest developments should incorporate an integrated approach to deer management. Features such as fencing, open space reserves, deer lawns, and appropriately sited control infrastructure such as access tracks, hides, and high seats must be incorporated into site design. As in 4.3 above, codes of best practice aimed specifically at the forest sector should be developed. · Forest design is the key long term practical method for many of the deer management’s objectives. Deer lawns will not only provide more safe areas for culling, but will help in monitoring deer population. Forest design must be looked at immediately for long term deer management. 4.7 Recreational Deer Hunting – measures are required to support and encourage the contribution of recreational hunters in achieving desired deer management objectives, and towards integrating recreational hunting activity within a structured deer management environment. This issue is discussed in greater detail in Section 5. · CAI is again pleased to read that the deer management policy group appreciate and understand the key benefits of recreational deer hunting. 5.1 Policy should allow for a clear distinction between deer control activities carried out in support of land management objectives or public safety; commercial deer management activities carried out for primarily financial reasons and licensed recreational deer hunting, carried out for primarily recreational reasons. · CAI is mindful that public safety is of paramount importance. However, the DMU in each area should build in contingency in this regard. Guidelines must also be issued to ensure that the policy is fair and that commercial hunting does not take precedence over recreational hunting purely because it will secure more income for the government. 5.0 Recreational deer hunting should make a positive contribution to desired deer management objectives, and take place within a structured, best practice environment, having due regard for public safety, animal welfare, legal obligations, and the management objectives of lands where hunting takes place. · So-called “recreational” deer hunting is arguably the only way is which deer control is ever likely to be achieved nationally, and where conducted along with membership of one of the organised deer associations, already takes full cognisance of best-practice requirements, where the hunters concerned have been assessed and certified as competent within the parameters of the Deer Alliance Hunter Competence Assessment Programme (HCAP). To suggest otherwise is an affront to the one-quarter of licensed deer hunters, and up to one-half of all active hunters, who have been HCAP-assessed and certified between 2005 and 2012. 5.2 Recreational hunting should not be considered a substitute for professionally applied deer control. However, policy should fully recognise that recreational hunting has potentially a very valuable role to play within a structured deer management environment and objectives in the catchments where deer hunting takes place. · This statement is somewhat ambiguous and clarification and guidelines must be issued to outline when professionally applied deer control would be invoked as the only option. 6.2 A comprehensive revision of current deer legislation is required in the light of significant changes to land use practice, conservation requirements, deer hunting practice and deer population dynamics since the introduction of the Wildlife Act, 1976. · The Policy must address the possible abuse of Section 42 of the Wildlife Act to extend season for personal gain. This should only be issued at last resort once legitimate methods have failed. Permits should only be considered to skilled DAHG staff. 5.6 It is recognised that there is now considerable competition within the recreational hunting sector for space and hunting rights or permissions to hunt deer, particularly in regions close to larger urban centres. There is little regulation in relation to hunting rights on private lands, which may impact on the ability of hunters to apply consistent management from year to year. An organisational structure is required that would permit more consistent management of deer for sporting use over longer periods of time within a structured deer management environment. · Local Deer Management Groups, comprised of competent licensed hunters working closely with local farming and forestry interests, has long been recognised as the most efficient and effective way to control local deer populations. However cooperation between competing interests often militates against attainment of objectives, and deer hunters, farmers and foresters must work together much more closely if all long-term objectives are to be achieved. 6.3 The current Deer Hunting Licence (DHL) system should be significantly reviewed to incorporate current requirements and to minimise unnecessary administrative overheads. In particular, given recent amendments to firearms licensing legislation under the Criminal Justice Act, 2006, there is a need for the issuing and validity of deer hunting licences to run concurrent with the issuing and validity of firearms certificates. · Coordination of issue and validity dates is a simple, immediate and effective way to cut down unnecessary administrative work-load and expense. There is no reason why the Deer Hunting Licence (DHL) should not run for a three-year period as does the Firearms Certificate. 6.4 Separate licensing systems should be developed to distinguish licensed recreational hunting from licensed commercial hunting to aid the regulation of trade in venison and prevent trade in illegally hunted meats. Provision of a valid tax clearance certificate and declarations should be a requirement for commercial hunting licences. · All transactions involving the sale of venison should also require a PPSN number to be supplied. Revenue should become involved in this cash business. It is concerning to note the FSAI/DAFF game handling courses been promoted as a free course for the unemployed or canvassing of Game Handling establishments to promote such courses, evidence would show the illegal taking of deer is not limited to but prominent amongst the unemployed, lured by the attraction of easy and non-traceable cash transactions. Strict regulation & monitoring would be required for the issuing of a commercial licence to avoid exploitation by those involved in the illegal taking of deer. · Separate licensing systems would make sense to ensure commercial hunters are complying with income taxation etc. However, we do not believe that this separate licensing system will prevent poaching and the trade of illegally hunted deer. · We suggest that commercial food establishments who buy and sell game should keep a record of all transactions and the audit trail would be available for inspection by the relevant authorities. We would also recommend that commercial food establishments and game handling establishments can only pay for game via a traceable cheque and not cash. 6.5 The current system whereby DHL (Deer Hunting Licenses) applicants supply details of hunting permissions, places an unnecessary burden on the issuing authority, in terms of administration. It is strongly open to misuse, and as an annual requirement, is in itself a potential barrier to consistent year-to –year deer management on lands concerned. · The DHL system should be strengthened to avoid abuse, currently DHL’s are been issued at unprecedented levels without any regard of actual requirements or cull targets. Any relaxing of the current system for issuing DHL’s should be avoided to avoid unnecessary safety risks & poor deer management practices. The administration process of DHL’s could be improved through an online application process. · The current system is not working and needs radically upgraded. The system should be strengthened to take into account of future kill targets per the amount of animals in that area, therefore the administration of deer licenses must lie with the issuing authorities. 6.7 Policy should ensure that there is a strong requirement for mandatory training and certification regarding firearms handling safety and proficiency prior to the issue of Deer Hunting Licences. In this regard, there is a need to establish standardised training and assessment structures that are fit for purpose. Training and assessment must be independent, transparent, and subject to accredited certification. Those providing the training must be suitably qualified and accredited to do so. · CAI stresses the requirement for mandatory completion of the HCAP as the required standard before issuing a DHL. To help prevent poaching, this should be top of the criteria to be set in stone as soon as possible. Completion of a training certificate to awarded persons’ will also provide the opportunity to educate in all aspects of the objectives we require the professional/recreational deer hunter to carry out. From database input and to on-line log books we must start immediately to use “on the ground” personnel to achieve our objectives. 6.9 Policy should support and enable the introduction of a tagging system for culled animals. Carcass tagging would form a critical element of a set of integrated measures aimed at improving the overall traceability of venison from field to fork and enable the exclusion of illegally sourced meat from markets”. · CAI supports the prerequisite for tagging systems. This can only be achieved once deer densities per DMU is achieved and can set out the harvest levels for the given area. This is a long term objective that will also help DAFM trace carcasses. In addition, mandatory tagging may serve as a deterrent to illegal hunting/ game handling. These tags should be issued by the Department at the same time the DHL is issued. 6.12 Policy should address other firearms issues as they relate to deer management, such as the issue of appropriate firearms calibres for smaller invasive species, and the use of shotguns, tranquiliser guns, and appropriate training for personnel using such firearms. This may require amendments to existing firearms legislation. In this regard, the use of vehicles, night-shooting, trapping, tranquilisation and other control methods and associated technique. · In the absence of appropriate policing of our Wildlife Acts, training, data and resources to allow any introduction of night shooting, shotguns etc. for managing deer should be avoided. This practice is only required by a minimal number of NPWS/Coillte staff nationally in high recreational areas. · Many stakeholders including WDAI and the IDS would be able to educate in best practice of control methods and techniques. CAI fully disagrees with any proposal to amend the wildlife act to allow use of what we believe to be unethical methods and techniques, including night shooting and other control methods. We would ask the Department to clarify what is meant by ‘other control methods and associated techniques’. · The various deer organisations are strongly opposed in principle and in practice to night-shooting of deer as a wholly inefficient, unselective and potentially dangerous methods of deer control. 6.14 It is widely recognised that there has been a major increase in illegal taking of deer and related unlawful trade in illegally sourced venison in recent years. This phenomenon is largely due to recent increases in prices being paid for venison. There is also significant evidence of an increase in the illegal trading of venison through non-registered individuals and meat handling facilities. Illegal taking of deer is viewed as a low risk high gain activity by those involved. Such trade and activity endangers public safety, may endanger the image of Irish meat exports abroad, and makes legitimate deer management activities more difficult to implement. · Poaching is a large and growing problem everywhere, yet it appears that very little is being done to curtail it. Local groups often have to take on the primary responsibility of patrolling ground, and the potentially dangerous task of dealing with armed trespassers on Coillte forest property as well as on private land. · The Wildlife Service must be better resourced and better supported in dealing with this problem working more actively with the Garda Siochana in known poaching “hot-spots”. 7.3.4 All lands, including forest properties, Coillte deer leases and licensed deer hunting on private lands within DMUs would be included in the overall deer management strategy for that DMU. This would be supported in law by a suitable statutory instrument issued under the aegis of the Forestry Acts, or under the Wildlife Acts. · We would strongly disagree with this view, there is no scientific data or other factual evidence to suggest this is required. Where individual landowners hold a reservoir of an unmanaged & unsustainable deer population a local solution should be formulated working with the effected stakeholders. It is noted the submission process to date is predominately represented by Co Wicklow based landowners with a notable absence from other regions were deer are present, this could lead one to believe there may not to be an over population of deer other than some areas of Co Wicklow. The majority of those involved in deer-stalking/ management do so to the required levels of maintaining a sustainable deer population, over a life time in many examples. Any actions that would undermine these management practices should be avoided, such as DMU’s are suggested in their current format. 7.1 A critical first step must be the establishment of a full time National Deer Management Unit (NDMU) that will co-ordinate the implementation of deer management policy at national, regional and local levels. Any such unit could make use of existing staff and skill sets within DAFM and NPWS, and other relevant statutory bodies, as may be required. Given the land management, animal health and food safety issues concerned the Department of Agriculture, Food and the Marine is viewed by the IADPG as being the most suitable Department to host such a unit. · CAI would like country sport stakeholders to be included within the NDMU and to have full involvement within the development of the deer strategy. Stakeholders like CAI, WDAI and IDS represent many of the recreational hunters who would be affected by this policy. 7.3.4: All lands, including forest properties, Coillte deer leases and licensed deer hunting on private lands within DMUs would be included in the overall deer management strategy for that DMU. This would be supported in law by a suitable statutory instrument issued under the aegis of the Forestry Acts, or under the Wildlife Acts. · CAI would like to stress the point that not all private landowners would be supportive of culling on their own land. Alternative ideas must be considered to educate (where necessary) private landowners the need for responsible deer management. 7.3.8: Deer Managers could be drawn, but not exclusively, from existing personnel within DAFM, NPWS and from the DAFM registered foresters list on a voluntary basis. All personnel would be subject to an appropriate code of conduct. All such personnel would be trained to a recognised standard using a curriculum developed jointly by DAFM/NPWS. · Other than the training requirement this suggestion is of great concern and suggests a non-inclusive approach, furthermore it demonstrates a lack of understanding of current practices, knowledge-base and training by excluding current deer managers, deer-stalkers NGO’s who already provide deer management to a satisfactory level in most areas. The Deer Alliance made up of the relevant stakeholders in this policy vision, since 2005 has provided a successful & recognised training standard for deer management and could be further expanded to include any additional requirements. · The omission of a representative from deer stalking/management stakeholders in the Inter Agency group to date, we feel is a lost opportunity, as organisations such as the Wild Deer Association of Ireland and the Irish Deer Society are at the heart beat of deer management and related issues in Ireland, containing the knowledge and experience required in drafting and implementing such a policy vision. · CAI would like relevant stakeholders to be represented for the interest of all parties. 7.3.12 Recreational hunters operating in DMU’s would be allocated tags according to target harvest levels. Each hunter would be allowed an agreed minimum quantity of tags without charge at the beginning of the hunting season, based on the allocated cull. Unused tags must be returned and accounted for at the end of the season. Tags would consist of trophy tags, which would have a fee attached, and hind cull tags which would have no charge attached. Additional tags over the allocated cull limit would carry a commercial fee. · A tagging system is something we have suggested for some time however it is a meaningless exercise at this point in the absence of any meaningful data to support tag allocations. There are practical issues such a system would face versus their use in other countries due to our current deer ranges and culture towards deer management. Tags should only be used to provide meaningful data & traceability and not the promotion of any stakeholder interests. In the current economic climate & due to recent increased costs in providing deer management we would see any fee for the issuing of tags as unacceptable & only serve to restrict deer management, other than where commercial interests apply, where trophy tags may be appropriate. · Additional tags requested over the allocated cull should be assessed by the local Deer Manager within that DMU before granting. A commercial fee to obtain more tags could result in over cull for the allocated area. 7.3.13 Licensed commercial hunters and commercial operators catering to hunting tourism would be allocated tags under a commercial fee structure. Tags would only be issued to commercial operators on receipt of a current tax clearance certificate. 7.3.14 All licensed hunters would be allowed access to the primary tier of the national deer management database for input and personal recording, and generic local level reporting. Suitable software is currently available off the shelf to provide the type of software infrastructure required and would require minimal additional development work. Additional modules would permit reporting of damage severity and location by land managers within the catchment. Access and reporting would be available at hunter, land use manager, Deer Manager and regional and national level. A strong spatial analysis element should be built in to the IT system and should be inter-operable with GIS systems used by both departments. · On-line and hard-copy log books should be made an obligation to access a DMU population, to further develop and sustain a long term deer management objective. · CAI also asks the question, will licensed commercial hunters/operators be given first priority of the allocated tags per a DMU as opposed to recreational hunters? 7.3.17 Recreational deer hunters would operate at DMU level through a club system, analogous to existing current structures such as district gun clubs. To obtain a licence and tags to hunt in a particular DMU, hunters will have to join the club for that particular DMU. Clubs would operate under the aegis of a suitable national body. DMU hunters will be responsible for anti-poaching measures within their own catchment, under the guidance of the DM and in conjunction with the relevant authorities NPWS/Garda Siochana. · We would have grave reservations about this suggestion and why it is included in the draft document. Again this suggests a lack of understanding on how deer management is undertaken in Ireland. While local deer management is a preferable option. Such management practices in other countries form part of a culture developed over generations, whereas Ireland has a varied approach due to a number of factors. In addition many deer ranges are not in gun club areas. Gun clubs are increasingly fragmented and closed to members outside their own communities, which would restrict many deer managers/stalkers & existing deer management arrangements. Gun clubs manage small game and vermin, not deer. Fishing clubs manage fish populations, not deer. While there have been suggestions gun club members have recently taken an interest in deer management, the reality is that the majority have no interest or knowledge in deer management & this suggestion may have introduced for other reasons. Small game & deer management practices are not linked & this is reflected in legislation in other countries such as the UK where deer are protected under separate legislation to that of game. · A possible suggestion would be to appoint a regional coordinator to areas where factual data shows a high population of deer unsustainable to the local habitat & land uses, such a person would have access and an open line of communication to resources in that area such as deer managers, NPWS, IFA, DAFF etc. when required, they would also be responsible for setting cull targets, implementing anti-poaching measures etc. Local/district gun clubs vary in their approach and at times may be subjective. To insist that all recreational deer hunters must join a club within a DMU will prove prohibitive for many and indeed undemocratic. · CAI also disagrees with the choice of word used within the above text. “Responsible” is a poor word that can be read and used out of context. Poaching is an illegal crime that should only be dealt with by NPWS and An Garda Siochana. Responsibility for anti-poaching measures can be upheld by recreational hunters, but strong support and education must be provided by NPWS/Garda Siochana. Other methods to prevent poaching must be considered such as DAGH working to increase the penalties for poaching, public campaigns of awareness and a poaching hotline. Deer poaching initiatives such as WDAI’s “Shine a light on poaching” will help increase public awareness and decrease the incentive for illegal poaching. The DMU by its very nature would cover a number of different land holdings. The DMU would set a cull level for the entire. Recreational hunters would have to be members of a club to obtain a licence to shoot in that area only. The club would have to be part of a “suitable national body”. Outside the Irish Deer Society, the Wild Deer Association of Ireland and other dedicated deer management and conservation groups such as Wicklow Deer Group, no such “suitable national body exists”. The recreational hunters would be responsible for anti-poaching measures (under “guidance”). This proposal tramples on the sporting rights of land owners. It limits hunters’ licences to a particular location. In summary a recreational hunter would need a firearms licence, a proficiency test in hunting, a hunting licence limited to an area, the requirements necessary to have membership of a club affiliated to a national body for each area, land owner’s permission, and the cost of tags as yet unknown. This suggests a radical and far-reaching departure from the existing scenario, and an undue interference with the concept of deerstalking as practised throughout Ireland over a very long period of time and as such, is likely to be strongly resisted. provision of deer manager expenses, training and IT infrastructure”. · In the current economic climate this has the potential to increase the illegal taking of deer. We would not see the introduction of DHL fee as appropriate at this time, however with the commitment of funds been allocated to the required resources such as anti-poaching measures, it is something that deer stalker/managers may accept in the future. · CAI disagrees with the proposed idea to fund the system with the agencies concerned. The system should be funded by the two inter agencies until valid evidence confirms that the management system is effective. Also, it states “fees from DMU or DMAA membership fees”. If a future fee was to be taken, it can’t be taken as either a DMU or DDMA membership fee, because many DHL holders could be culling within many different DMU’s or DDMA’s. A first time DHL fee, must be considered only at last resort. The recreational deer hunter is one of the major human resources the deer management scheme has. We must encourage numbers to continue with affordability and currently, no other shot game has an exclusive charge. Therefore, especially in these current economic times, extra costs will increase the likelihood of more hunters to poach. · CAI appreciates that all agencies concerned should pay equally for their role in long term sustainable deer management, but until a working scheme is functioning financially, an uncalculated figure, especially under the current economic environment, cannot be estimated. · The fact that a great many proposals set out in the Second Draft Discussion Document have appeared out of nowhere. They were not promulgated in the First Draft Document, and they were not proposed in any of the published submissions arising from the first stage of public consultation. To some, this suggests an agenda at work. This apprehension must be addressed if there is to be confidence in the workings of the Review Group going forward. · It appears to many that the proposed policy is heavily weighted in favour of sectoral interests, notably farming interests. This perception, right or wrong, must be addressed. · There is concern at the apparent limited input of the statutory authority with responsibility for wildlife. Thus issue too must be addressed and rectified. · There is concern amongst those deer organisations committed to the promotion of safe, effective and competent management of wild deer through the HCAP system of training, assessment and certification, that there is no recognition whatsoever given to the efforts of all those concerned with the development and implementation of HCAP over the last decade. · There is concern too about the potential for “sidelining” the existing deer organisations, committed to the better management of wild deer over a great many years, in favour of any other organisation, with or without a track record in the area. The concept of obligatory membership of a national organisation, for example, is likely to prove a highly contentious issue. Those points having made, the move towards development of a national deer policy, as first promoted by the Irish Deer Society and the Wild Deer Association of Ireland, working in conjunction with Wicklow Deer Group, Deer Alliance HCAP and Countryside Alliance at the National Conference on Wild Deer, convened and organised by the bodies representing “recreational” deer hunters, is welcomed, and the different deer organisations look forward to ongoing involvement and the better development of the concept. The right to add to these submissions is reserved by the parties making them. Since its establishment in 1981 the Wild Deer Association of Ireland (WDAI) has grown to become numerically the largest organisation of its kind in Ireland, representing those involved in deer management, deer stalking and people with an interest in the conservation and well-being of Ireland’s wild deer herds. The Wild Deer Association of Ireland is recognised as a leading authority on wild deer in Ireland, hosting events throughout the year with the aim to develop the knowledge and skills of our members and the general public. We host numerous events, seminars and international deer experts on issues relating to deer and deer management. We work closely with government departments on issues of mutual interest and have been instrumental in amending legislation to the benefit of deer and those involved in their management. The Wild Deer Association of Ireland is one of the founder members of Deer Alliance, the assessment committee set up to oversee the Hunter Competence Assessment Programme (HCAP), which provides a first step to developing the knowledge and competence of deer managers and deer stalkers by providing a recognised qualification. In addition, WDAI is a member of FACE which is recognised by the European Commission as the main discussion partner, representing Europe’s 7 million hunters, and is consulted by the relevant Directorate-General during the elaboration and monitoring of EU legislation dealing with hunting, wildlife management, nature conservation, firearms, wild animal health, game meat hygiene, etc. WDAI is also a member of CIC International which represents hunters in over 80 countries around the world. Through their national membership and various social media outlets WDAI run numerous campaigns promoting the discussion of topics such as the illegal taking of deer (poaching), road traffic accidents involving deer and the support of landowners who suffer genuine deer crop damage. The Wild Deer Association of Ireland has been to the fore in recent years in calling for the implementation of a National Deer Management Strategy and will be a key stakeholder in any policy regarding deer management. Countryside Alliance Ireland (CAI) is an all-Ireland membership organisation with 10,000 individual members and over 25,000 affiliated members. CAI reflects the views and concerns of a broad range of rural people and their livelihoods. Their vision of a vibrant and diverse countryside is based on the principle of responsible and sustainable use of our natural resources, coupled with local community support through meaningful consultation and proper stakeholder participation. CAI regularly partake in, and host, conferences and forums discussing many topics relevant to the integration of country sports with sustainable wildlife management. For these reasons we have the expertise necessary to comment, for both the organisation and our members, and to make recommendations on the Draft Deer Management Policy Vision. CAI commend the Department of Agriculture, Food and the Marine (DAFM), and the Department for Arts, Heritage and the Gaeltacht (DAHG) for developing a second Draft Policy Vision for Deer Management in Ireland. This has been long overdue and CAI therefore supports the initiative. CAI call for a more detailed and thorough explanation of what the Draft Deer Management Policy Vision literally proposes and how these proposals are to be implemented. Wicklow Deer Management & Conservation Group was formed in 1991 and is active on multiple Coillte licensed forest areas, as well as on large tracts of private land in Wicklow and elsewhere. WDG counts among its members several highly experienced and knowledgeable stalkers, who each have several decades of practical deer management ton their credit. Deer Alliance HCAP is the organising body for the assessment and certification of persons involved in the management, conservation and stalking of wild deer in Ireland.  Deer Alliance was established in 2001 in response to the need for a certification process in respect of hunters and managers of wild deer on the lands of Coillte Teoranta, Ireland’s State Forestry Board. Deer Alliance HCAP administers the national Hunter Competence Assessment Programme (HCAP) through the HCAP Assessment Committee. HCAP is designed to lead to safer, more efficient and more humane management of wild deer in Ireland through a rigorous process of screening and assessment of deer hunters. All persons wishing to hunt wild deer on Coillte forest property are required to show evidence of competence in the areas of knowledge of Irish deer species (biology, habits and habitat, management practices) and proficiency in the safe use of firearms. HCAP, introduced in 2005, is currently the only Irish-based certification process recognised and accepted by Coillte as meeting the required standards.